I started blogging 5 years ago for personal expression and for my voice to be shared with others. And in doing so, I met some pretty interesting people, some of which I am still friends with. I love it whenever new friendships formed online and especially when I get to see my virtual friends in person during blogger invites to events such as product launches, food tasting, product sampling, parties, etc. 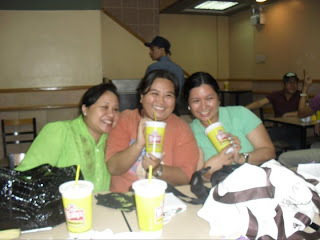 Blogging made it possible for me to bond with these special people I whom I call friends. I'm happy to see these wonderful people who have made my life better, happier and who inspired me to rekindle my love for writing! Belonging to the blogger community is really wonderful. It satisfies my need to learn continuously through glimpses of other bloggers’ lives. It provides me brilliant insights into what other people are embracing as well. Reading comments on my blog entries gives me a sense of pleasure and pride knowing that people appreciate what i’m doing. Moreover, I can say that I am more self-confident in reaching out to the world through my writing! Words are indeed powerful as swords! It has opened-up a new world of fun and excitement for me. I always look forward to blogger activies.